THE KANDAHAR DID NOT ARRIVE HERE BY CHANCE. 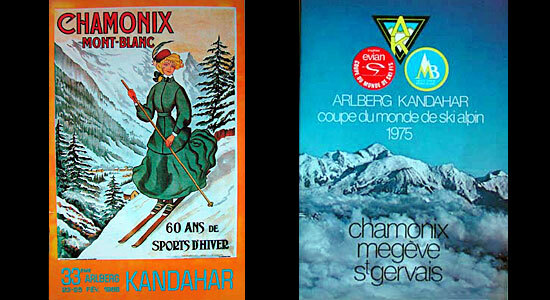 The Arlberg Kandahar takes place successively at Saint Anton (Austria), Garmisch Partenkirschen (Germany) and, since 1948, at Chamonix Mont Blanc in France. A selection of internationally renowned resorts to organise what is one of the greatest events on the circuit. It was at Chamonix that the members of the Ski Club of Great Britain used to come to carry out their tests (in horse-drawn coaches!) 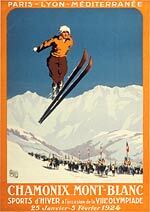 led by Henry Lunn, father of Arnold, the man behind the famous Arlberg Kandahar event. 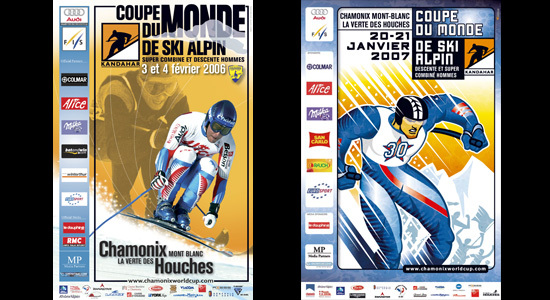 With the development of tourism and facilities, skiing in the valley of Chamonix has developed ever since, together with its considerable international reputation. 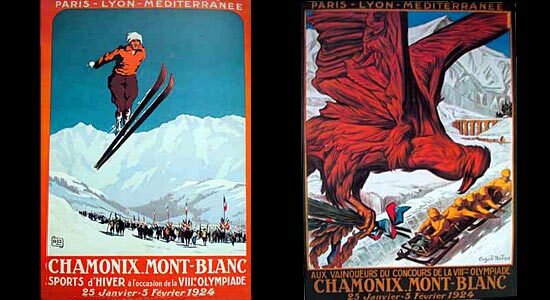 The first Winter Olympic Games of 1924 were undoubtedly when Chamonix achieved international recognition for the first time. The development of facilities in the valley opened up access to exceptional sites. At the foot of the Mont Blanc massive, all the ski areas offer exceptional panoramic views, with excellent quality high altitude skiing and snow conditions, on a variety of pistes. Today, people come from the world over for the 20 km of off-piste skiing in the "Vallée Blanche", to ski or surf on the difficult pistes of the Grands Montets, to take advantage of the incredible views at the Brévent-Flégère or else to enjoy the gentle, family runs at Les Houches. 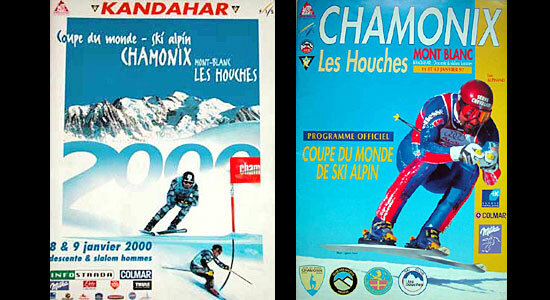 Chamonix has naturally become a part of skiing history. 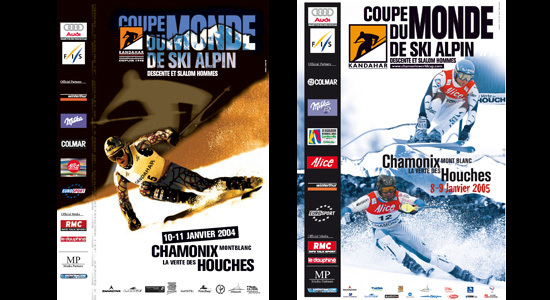 Alpine skiing and all the latest snow activities have evolved and continue to evolve here. Because of its exceptional position and historical facilities, (the Aiguille du Midi cable car was inaugurated in 1954, and is the highest in Europe), Chamonix can be said to participate in the evolution of skiing on a daily basis. French Ski and Mountaineering School (created in Chamonix in 1945) trains all the French ski instructors of tomorrow and the alpine section of the Sports Club helps to form the champions of the future. Skiing in Chamonix has always been a passion and one which is shared by the greatest possible number of people, from beginners to the very best. The organising committee of this major and legendary event is proof of the attachment the valley has both for its history and for its environment. The history leading up to the creation of the Kandahar, its ground-breaking rules, the introduction of the combined event, its winners which can still be counted on the fingers of one hand and the host resorts of international repute, are all an integrate part of the Arlberg Kandahar legend. The Kandahar existed before the creation of the World Cup circuit. 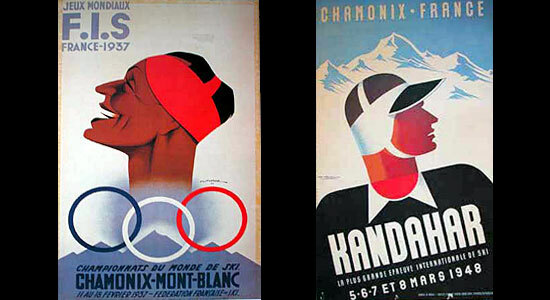 At the time those who won at the foot of Mont Blanc became legends in their own lifetimes! 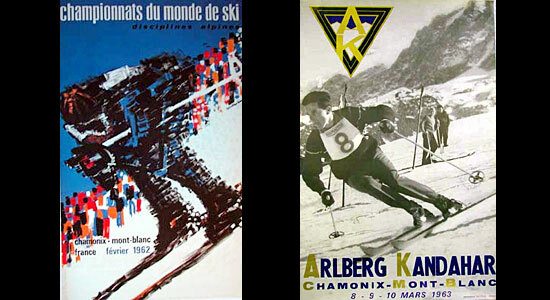 Winning the title (with medals inscribed with the magical letters "AK") was the equivalent of being awarded a supreme accolade and for decades, the Arlberg Kandahar races were the ultimate events in alpine skiing. 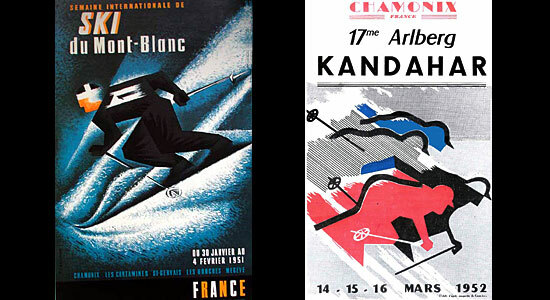 Created in 1928, it was the first international alpine competition to combine downhill and slalom events. This combination still exists in the Olympic Games and the World Championships. Both spectacular and very difficult, it remains a measure of excellence, even if over the past few years, skiers are increasingly less suited to such events. 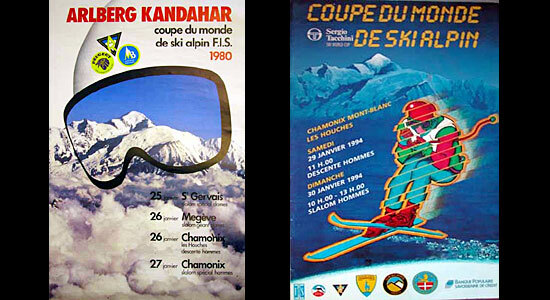 By preserving the Kandahar name, and the Combined discipline, in particular in the World Cup rankings, Chamonix is stands out in its desire to continue the Kandahar legend. The trophies for the first skiing competitions at the beginning of the century were given out by Lord Roberts of Kandahar. The Lord had been awarded his nobility in recognition of the liberation of the battalion surrounded in the town of Kandahar during the Afghanistan war. Kandahar was founded in the fourth century by Alexander the Great and in Afghan means "Alexandria". After this victory, Frederick Sleigh Roberts, one of Queen Victoria's Field Marshalls, became one of the most popular men in the British army. Since this time, Kandahar has, for other reasons, come back to the front of the world's stage!